I was fortunate to have a fun 6 day trip to Seattle, San Francisco, Monterey and Santa Cruz a couple of weeks ago. I just wanted to share what I took on the trip as I seek to travel as lightly as possible, while also having what I need. 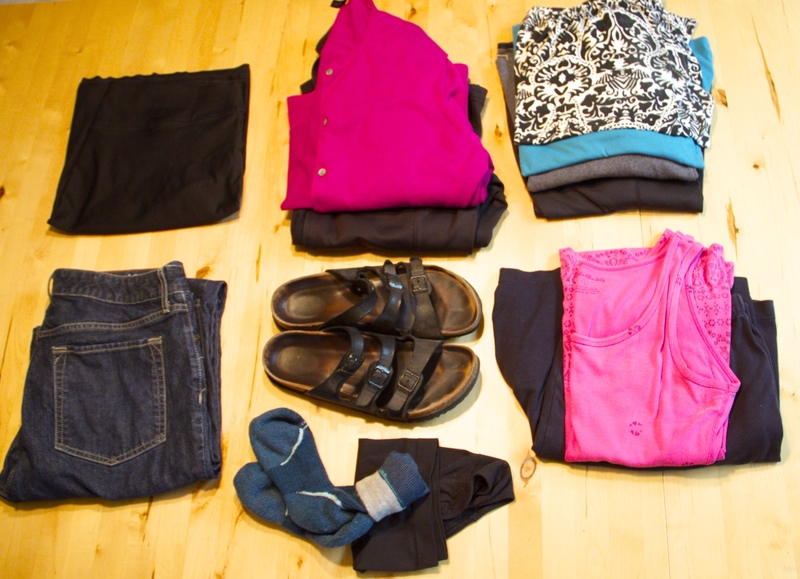 Clothes: Jeans, black skirt, fuchsia sweater, black jacket, 4 tops – 1 black long sleeve Flash Dry, 1 gray 3/4 sleeve, 1 blue tank and 1 black and white sleeveless. For sleep 1 pair of cotton shorts and 1 tank. Birkenstocks, socks and 1 extra pair of underwear. 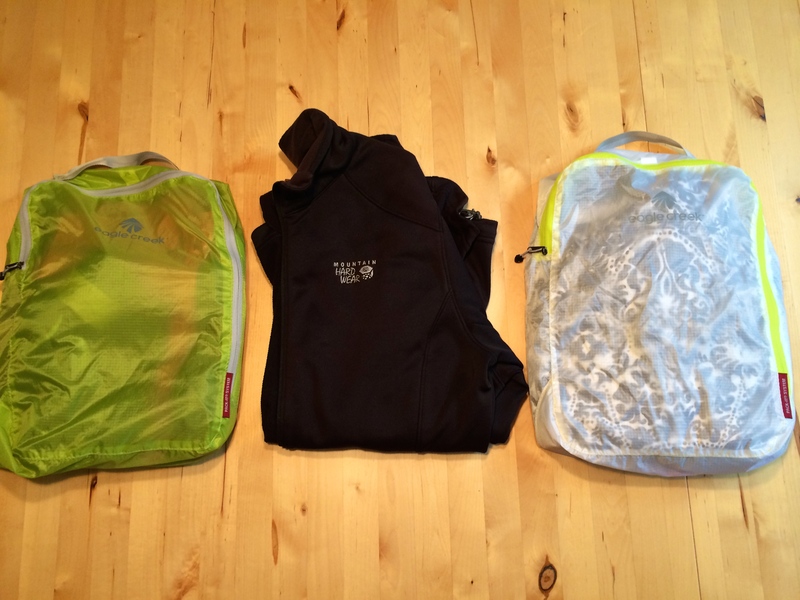 All of the above clothes fit into these Eagle Creek bags. I put tops in one bag and bottoms and sweater in the other. I kept the jacket for the flight to use if it gets cold on the plane. 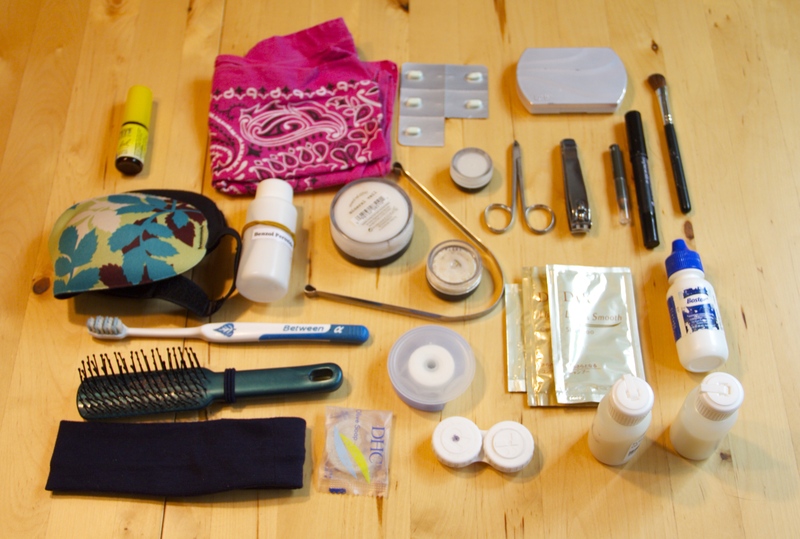 Personal items – Contacts, glasses, toothbrush, tooth powder, floss, tongue scraper, hairbrush, headband, soap, bandana, sleep mask, Rescue Remedy Sleep Formula, Immodium, shampoo, conditioner, benzol peroxide, deodorant, coconut oil, nail clippers, hangnail clippers, eye shadow and eyeliner. Personal care items fit into these smaller white & green Eagle Creek bags. 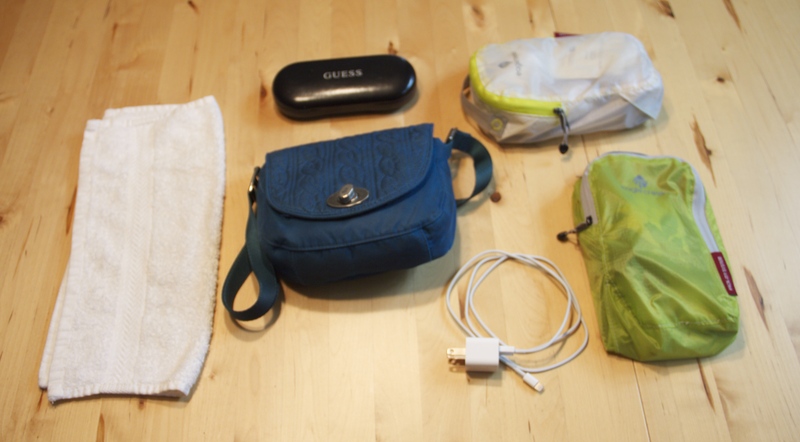 I also took a clean white washcloth, my purse, eyeglass case and phone charger. 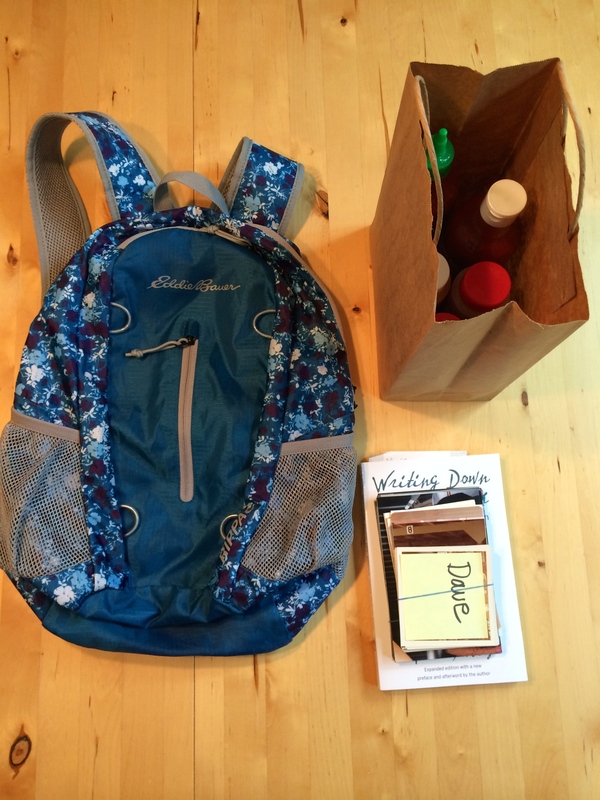 I took an additional backpack that folds up into it’s own small sack, some photos for others and some hot sauce for my brother. My daughter was able to put the hot sauce in her luggage that was checked, so the photos and backpack fit easily into my duffle bag. 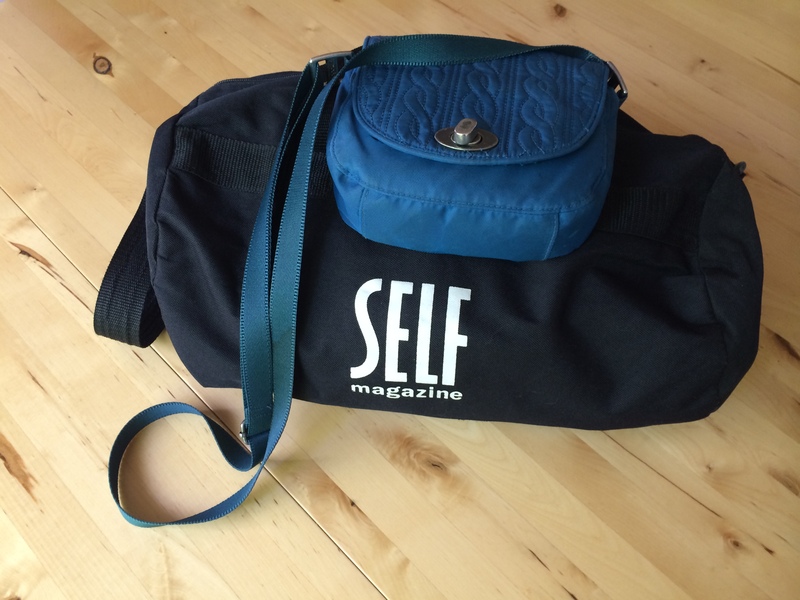 All clothes and personal care items fit into this small duffle bag. 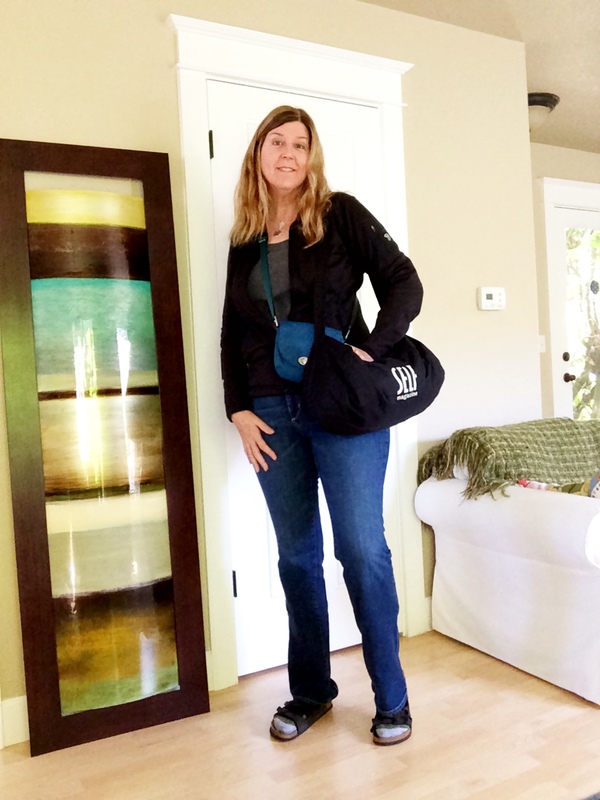 What I wore to the airport – Jeans, gray 3/4 sleeve shirt, jacket, socks and Birkenstocks. 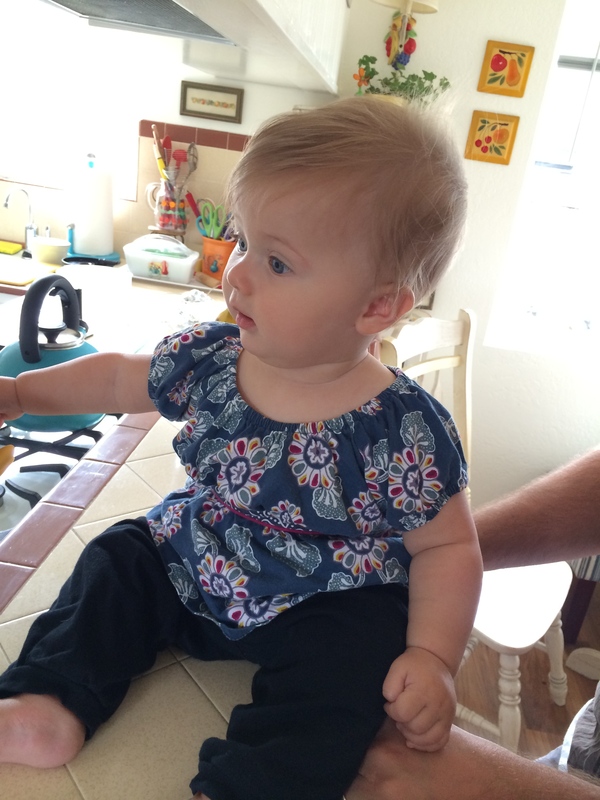 I can be hands-free and was able to help carry items for my Granddaughter. I ended up barely wearing the jeans, gray 3/4 sleeve top, long sleeve black top, jacket or socks, so I could have done fine without them. It was warm to hot the whole trip, making those items less useful. Had it been colder, they would have been nice to have. I did not use the sleep mask, rescue remedy, soap or Immodium, but I did use all of the other other personal items. Next time I would leave the Rescue Remedy and Immodium at home. I had plenty of variety in my wardrobe (that came from my Summer Project 333 items) and I was able to last 6 days without doing laundry. 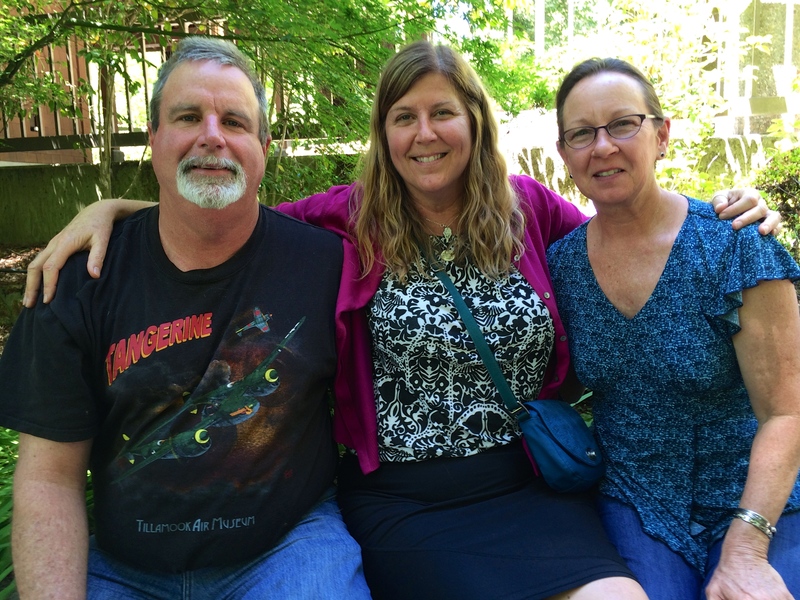 Seeing my brother and sister. 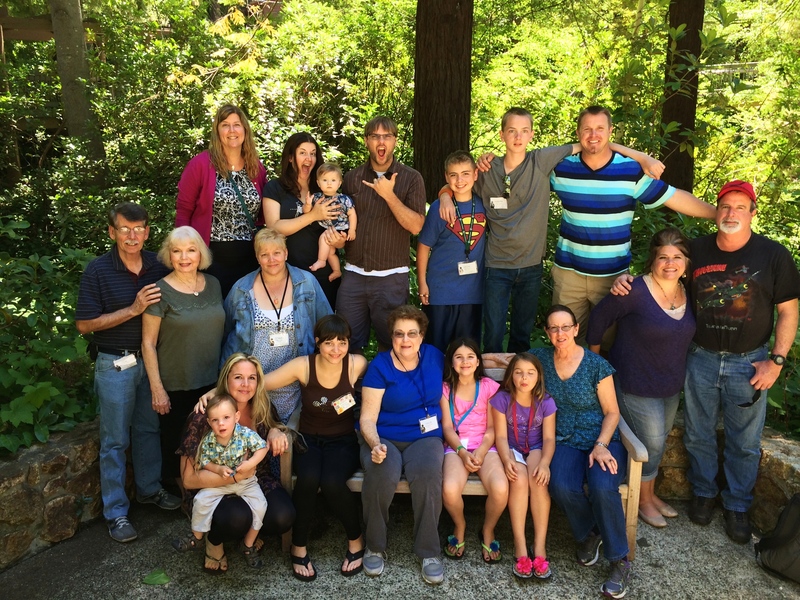 A big family reunion at Mt. Hermon in the Santa Cruz mountains. Hanging out for 6 days with lil Ava. 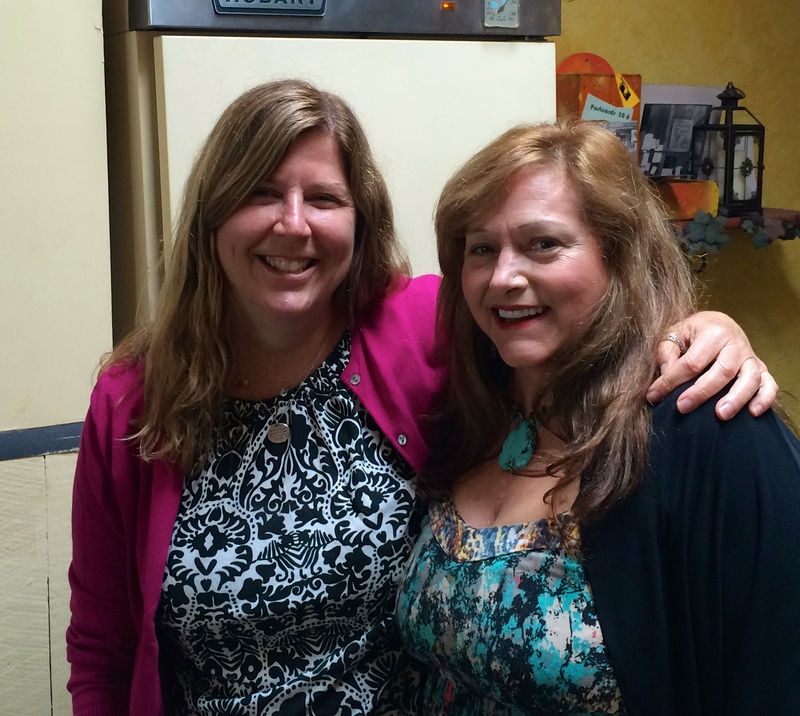 Getting to see my high school friend, Marti. How can you travel lighter on your next trip? 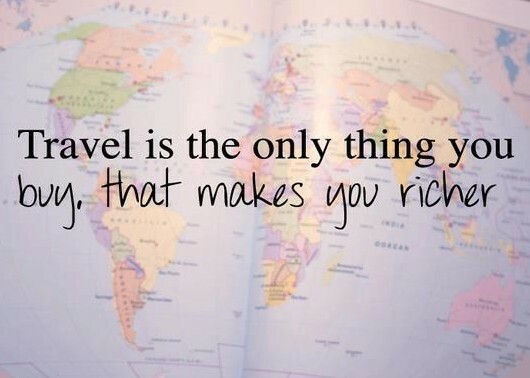 And what would be the advantages to having less while you travel? Please leave your comments below. If you enjoyed this blog, please follow me via my homepage “Follow” button. Thanks! I am still trying to travel “lighter”. Every time I go to Mexico, I over pack. I am learning to pack less and less each time. Kathy, I did not see “floss” on your list!! Can’t leave without that. I’m in Prunedale…would of love to have seen you! Hi Barb, Sorry I didn’t have time to fit in more, such as visiting you. It was a quick trip with 1 day in Seattle, and travel days on both ends. Look again at my photos and list as floss is on there. I always use my tooth powder, floss and tongue scraper. You would be proud of my dental hygiene! Good luck with traveling lighter. Often to put out what you need and remove duplicates can help lighten the load. I also find taking photos helps and then noticing items not used. Happy travels to you and your family! I use Smart Floss as it really works well and has helped me want to floss. Try it if you have not yet experienced it. I definitely had you in mind when I was packing for our trip last week. I ended up taking about half as much “stuff” as I normally do, and the world didn’t end. :)When I got home I realized that I could have brought even less! Awesome! 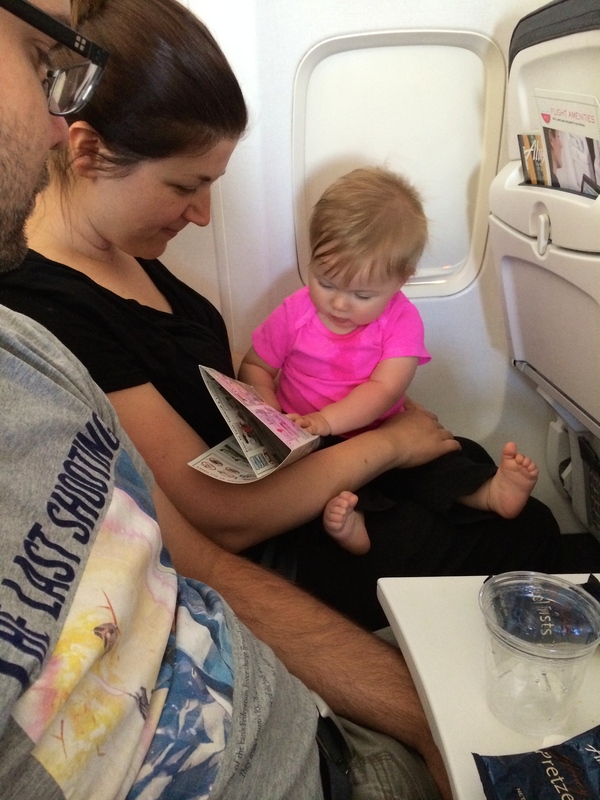 To see someone enjoying the benefits of traveling lighter makes my heart sing. And yes, it has taken me a bit to notice it’s not just about organizing what we have, but simplifying it in whatever ways work at the time. Less in is the key to us not being on a perpetual de-clutter. Good for you Kim. I NEVER travel internationally without Imodium, but I guess here in the States where there is always a pharmacy or drugstore nearby, I guess it would be okay. I have taken Imodium once in my life so far. That was in India. And you’re right, it is available to purchase in most countries.